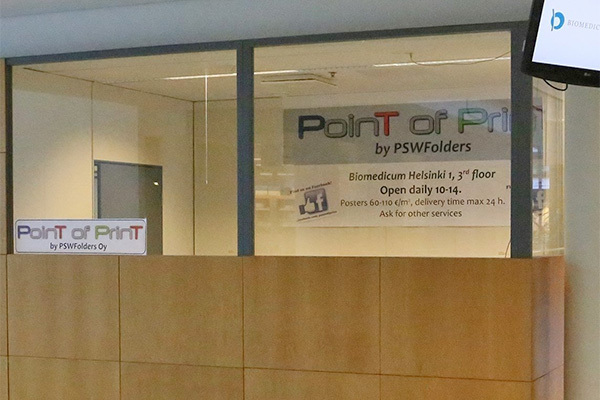 PSWFolders Ltd was founded in 2001, and it's focus is in graphical services. 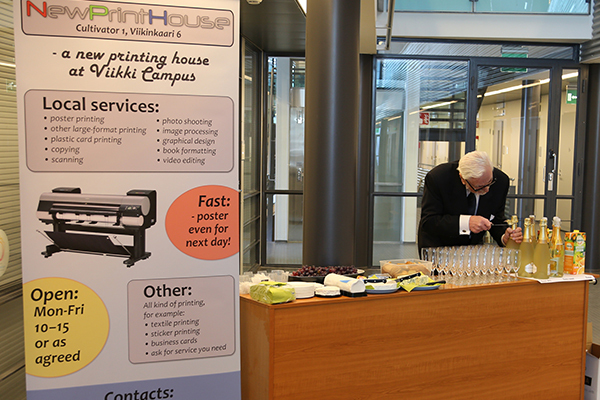 After years of work with and in the University of Helsinki a room was rented from Cultivator 1, Viikki campus, and first own large-format printer was puchased with some other printing gear. The researchers have been very happy for out fast and reliable deliveries and friendly service. In November 2016 we got our foot also in Meilahti campus, when suitable space was found in 3rd floor of Biomedicum Helsinki 1. Even when we are almost inside the University of Helsinki, we wish all customers, corporate or private, welcome!